Ebates operates a unique cash back business model. If you use the Ebates shopping portal when you shop online, you can earn a small percentage of your total purchases as a cash rebate. While your first reaction might be that there must be a catch, we can assure that Ebates occupies a perfectly legitimate and innovative business model. This article will walk you through exactly how Ebates works and provide a full in depth review of how to use Ebates to save money with your everyday purchases. 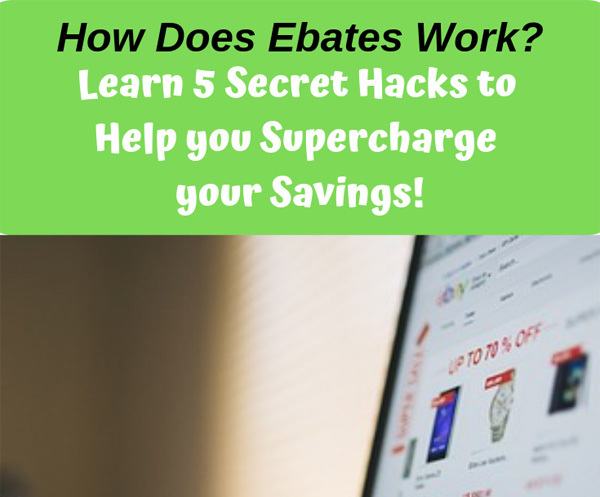 We also walk you through some very creative Ebates hacks to help you maximize your savings. I signed up for Ebates, Where is My Cash Back? Ebates was founded in 1999 with the goal of saving consumers money from their everyday shopping purchases. Today, Ebates has grown into a large company with over 10 million individual members that have saved over $1 billion in cash back from their regular shopping purchases. Ebates generates revenue from affiliate relationships with large retailers like Amazon, Best Buy, Target, and Kohl’s. If a customer purchases a product from Best Buy through an Ebates link, Ebates will receive a small commission from that retailer. Because Ebates is such a large company that can drive significant internet shopping traffic with its millions of members, Ebates has the ability to negotiate better commission rates with some of the largest and most popular retailers. Rather than keep the entire cash commission, Ebates shares a portion of their commission with the customers that use its shopping portals. This business model is really unique because it represents a win-win for both Ebates and the customers that shop through Ebates shopping portals. Let’s use a simple example with Khol’s. The Ebates shopping portal is currently offering 6% cash back when shopping with Khol’s. That means that if you purchase $100 from Khol’s through the Ebates shopping portal, you will receive $6 in cash from Ebates. In order for Ebates to stay in business, Ebates has to earn a slightly higher percentage of cash from your purchase. Ebates doesn’t publish their negotiated rates with merchants, so I’m going to use a hypothetical example to illustrate the business model. Let’s assume that Ebates has negotiated an 8% commission rate with Khol’s. In that case, your $100 shopping trip with Khol’s through the Ebates shopping portal earned $8 in commission for Ebates. Ebates shares $6 with you and keeps $2 for itself. That may not sound like a lot of money for Ebates, but with 10 million members, Ebates can drive very high levels of shopping traffic to a retailer offering affiliate commissions. If Ebates delivers 1,000 customers to Khol’s it could mean $2,000 of revenue from that 2% commission. With 10,000 customers, that 2% commission would equal $20,000 of revenue for Ebates. As an individual shopper, you don’t generate enough shopping traffic for Khol’s to offer you a commission for your online purchases. However, because of Ebates high traffic volumes, Khol’s will pay a company like Ebates for the shopping traffic. The magic of Ebates business model is that you as an individual, can benefit directly from Ebates negotiating leverage. Current cash back percentages for popular merchants on Ebates. The US Department of Labor reported that US consumers spent approx. $60,060 in 2017. This represented a 4.8% increase from spending levels in 2016. Let’s just assume that half of that money ($30,030) is spent on items that can be purchased online at retailers through Ebates. If you received a 2% cash back rebate on that spending, that would mean you saved an extra $600.60 in one year by using Ebates. If you were really diligent and earned 4% cash back on that spending, you would save $1,201.20 on your online spending in one year from Ebates. The easiest way to earn money from Ebates is to try it yourself with a small online purchase. If you use the signup link below and spend at least $25 with Ebates through their shopping portal, you will receive a $25 sign up bonus. Using Ebates is very easy. The trick is to find ways to remind yourself to use Ebates before completing your next shopping purchase. A simple way to do this is to use the Ebates chrome internet browser extension when your shopping from a desktop computer. The Ebates chrome extension automatically displays a pop up when you go to a web site that offers cash back from Ebates. Instead of guessing what cash back percentage you might earn, its much easier to see the percentage show up on the screen in front of you with the current cash back rate. Another smart way to use Ebates is with the IOS and android app. If you plan to shop from your mobile phone, the Ebates app makes it very easy to use. The Ebates app lets you browse every merchant in the company’s database and displays the current cash back values for each merchant. You can also quickly sort the merchant’s by the highest cash back percentages. Individual merchants frequently run promotions with extra cash back. These promotions change by the day, so when you see a higher than normal cash back rate for a merchant that you regularly use, make sure to jump on it. Ebates is more well known as a cash back portal for online shopping. However you might be surprised that you can still earn cash back from Ebates when you shop in store with certain merchants. All you need to do is add a credit card to your Ebates account. When you see a merchant cash back offer that you plan to use, if you add it through your Ebates account, it will link directly to your credit card. Then when you shop at that merchant and use your linked credit card, the transaction will be tracked through Ebates and you will earn extra cash back. The one main drawback is that it takes a little bit of time to process your cash back when you shop online. The reason for the delay is because of the nature of Ebates affiliate agreement with the merchants. Most online merchants have a 30 day return period when you shop online. The online merchant won’t send a commission check to Ebates until the customer’s purchase exceeds the return period. Ebates can’t send you the cash back until it receives the commission from the online merchant. Ebates will send you an email notification when it initially tracks your online purchase. Depending on the merchant, the notification can take anywhere from a few hours to a few days. You will be eligible to redeem your cash back after the refund window expires and the posting period is complete. In order to receive cash back, your balance needs to be greater than $5.00 and you need to have a valid address on file. If your account meets those requirements, you have the option of receiving a check mailed directly to your house or a payment through Paypal. If you choose to receive your cash back through Paypal, you will receive it as soon as the posting period is completed. Ebates is an ideal cash back platform because of its ease of use, large merchant list, and the ability to redeem cash back from merchants in store. However there are other sites and apps like Ebates that are available. It does make sense to consider a few Ebates alternatives because each site offers different cash back percentages. You always want to make sure you use the highest possible rate on your shopping purchases so it makes sense to compare your options before you buy. Mr. Rebates. Mr. Rebates is currently offering a $5 sign up bonus. Top Cash Back is known for having some aggressive portal payouts. Some of the top payouts right now include Sam’s Club (10%) and CVS (8%). Top Cash Back is currently offering a $10 sign up bonus. Be Frugal is a quality cash back site that offers competitive payouts. The top payouts today include Macy’s (13%) and WalMart (15%). Be Frugal is currently offering a $10 sign up bonus. All of the Ebates alternatives represent good options. Each alternative has a dedicated app that you can use with your cell phone. Since they directly compete with each other, it is a good idea to compare rates before you buy. Just keep in mind that it can become hard to keep track of all of these different options. Most people are better off choosing one cash back app and sticking with it. If you just focus on that app and pay attention to the days when your favorite merchants offer high cash back percentages, you generate significant savings and keep your life simpler. Regularly using cash back shopping portals is a great way to start earning cash back and saving extra money. After you’ve gotten in the habit of using a cash back portal for your online shopping, the next step is to use strategies to maximize your savings. Remember, in our original example, the average consumer might spend close to $30,000 per year on everyday shopping expenses. If we assumed a 2% cash back value, that represents an extra $600 in your pocket. If you can increase your savings rate to 4%, that savings could double to nearly $1,200. By following a few more advanced strategies, you can really supercharge your savings. Ebates makes is very simple to keep track of your favorite merchants. All you do is click the heart box on the app and the retailer will be saved directly in the app. You can view your list of favorite merchants directly in the app if click the heart box at the top right side of the screen in the “featured” tab inside the app. The other important way to use Ebates is to always check the daily promotions on the main web site or in your app. It’s very easy to sort the merchants by cash back rate. Often times you can buy the same merchandise any any number of retailers, so you might as well use a retailer that is offering a promotional cash back rate. Saving your favorite merchants does make finding cash back rates more convenient, but wouldn’t it be nice if you had advance warning about how often your favorite merchant offered higher cash back rates. If you check Cash Back Monitor, you can actually track how often particular merchants offer cash back promotions. You can also compare cash back rates across different cash back portals to find the best value on a particular day. Most people are in the habit of just using their credit card to purchase an item online. If you know you will be shopping at a particular merchant, you might consider purchasing a merchant gift card first. Purchase a $100 Target merchant gift card through the Ebates portal and earn 3% cash back. Use the $100 Target gift card and purchase Target merchandise through the Ebates portal and earn 3% cash back. This strategy can be particularly effective if you use it on a day that a merchant is offering higher than normal cash back rates. All of a sudden, a 10% cash back rate can be turned into a 20% discount if your purchase gets tracked for both the merchant gift card and the merchandise you purchase. It’s important to keep in mind that’s not always possible to earn the cash back twice. Some merchants will allow the 2nd purchase and other merchants won’t have that code properly. Since you typically receive a merchant giftcard within a few minutes of purchase, it makes sense to try it and see if it works. Just be careful to only purchase merchant gift cards that will send you an online merchant code. If you purchase a physical gift card, you’ll have to wait for the merchant gift card to show up in the mail. The cash back percentage is likely to be different by the time you receive the physical gift card in the mail. Ideally you can keep a list of merchants that give you credit for both transactions and which merchants don’t track the 2 purchases for cash back. You can also check online resources like the Frequent Miler Laboratory for other customers recent experience using a cash back portal to purchase a merchant giftcard. You also need to read the exclusions carefully. Each merchant will list exclusions with their cash back policy. Some merchants will have explicit exclusions for giftcards. 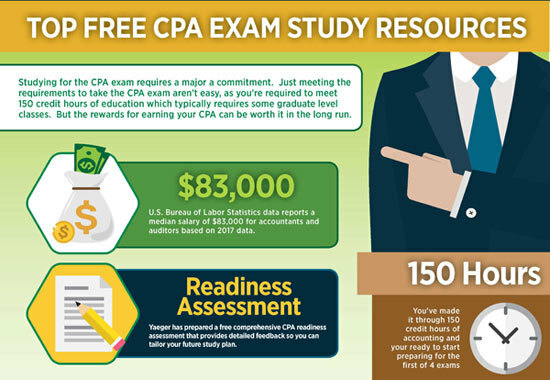 This final method takes a little bit of creativity and planning, but can lead to some major savings. You should always be on the lookout for opportunities to combine multiple coupons. One easy way to do this is to make use of Amex Offers that are available with any American Express credit card. Merchant offers are also available on Chase and Citi credit cards, but they are less frequently available than the American Express credit card offers. The easiest way to see how coupon stacking works is with an example. Certain smaller online merchants will frequently offer higher than normal cash back rates to attract customer traffic. Amex Offers are frequently available for some of these merchants like Ebags. One of the recent offers was spend $75 and receive a $15 credit. If you see an Amex Offer for a merchant that you might use make sure to save it to your credit card. By saving the Ebags Amex Offer, you could wait for the next Ebags cash back promotional rate. Over the last year, the cash back portal got as high as 20%. So by using your American Express card to purchase $100 of merchandise, you actually receive a 35% total discount. Saved the Ebags Amex Offer on your credit card. Used the Ebags 20% cash back portal to buy $100 of merchandise. Receive $20 cash back from the Ebates portal. Receive $15 statement credit from using the Amex offer. Earn a total of $35 for a 35% discount. Amex Offers are frequently available for popular merchants like Best Buy and its easy to check your offers directly from the Amex app on your phone. Many people aren’t aware that you can purchase a discounted gift card from a gift card exchange. Raise is one of the biggest gift card marketplaces. It’s very easy to find a wide variety of giftcards from every major retailer you can think of. HP giftcards are available for a 4.7% discount on Raise. Ebates is offering 1% cash back on Raise. Ebates is offering 10% cash back on HP. Ebates excludes giftcard purchases, but does not exclude gift card redemptions for HP. Use the Ebates portal to purchase a $100 HP giftcard on Raise for $95.30, a savings of $4.70. Earn $1 from the Ebates portal for Raise. Use the $100 HP giftcard to purchase $100 of merchandise. Earn $10 cash back from the Ebates portal for HP. The key to this example is to carefully read the stated exclusions on the Ebates web site. Cash back sites like Ebates may seem too good to be true, but I’ve been using Ebates regularly for the last few years and regularly earning extra cash back on my online purchases. Your not going to get rich using Ebates, but if your already making shopping purchases online, you might as well save some extra money in the process. BeFrugal Review: Is it Better than Ebates? Ibotta vs Ebates: How to Maximize Both!